Sarah B. asks: Can you tell me anything about the Nova Constellatio 1000 mark? I have a copy I suppose of this unique pattern piece. It has no seams described to me by a couple of dealers, but it does seem to have a slightly porous surface. The period leading up to the establishment of the U.S. Treasury in 1789 was filled with ideas for establishing the fabric for the new country that became the United States. Gouverneur Morris was the first to propose a decimal coinage (the British system was based on 12 pence to a shilling and 20 shillings to a pound). 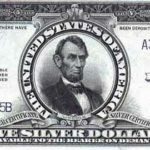 His ideas were executed by Benjamin Dudley and became the first examples of a pattern coinage for a proposed monetary system. 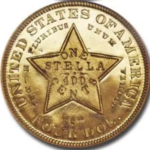 Neither the denominations or the Nova Constellatio coinage were ever adopted but the concept of a decimal coinage stuck. For the uninitiated, a Pattern is a proposal for coinage. Most patterns are never produced in their original form and are considered a stage in the development of the design. 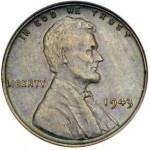 Patterns exist for most United States coinage. 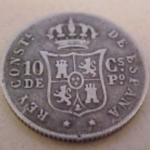 The Nova Constellatio (New Constellation) coins consisted of a copper 5 unit piece, a silver Bit or 100 units, a silver Quint or 500 units (two varieties) and a silver Mark or 1,000 units. All are dated 1783. The 5 unit copper piece is unique (and not known until 1980) but other examples of the other denominations may exist. Few of these coins exist today, in fact all may be unique. Collectors revere the Nova Constellatio patterns for their historic value. 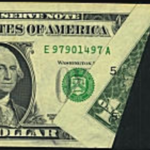 Only one 1783, 1000 unit Mark has been sold at auction since 1979. It came from the famous Garrett collection sale and brought $190,000. I’m sure the coin would bring a great deal more today. There are many sets of electrotype copies that are often found in collections. These replicas have no monetary value. If you believe you may have genuine examples of these coins, you can have them authenticated by one of the major Coin Grading services. See their links on the CoinSite Links page.